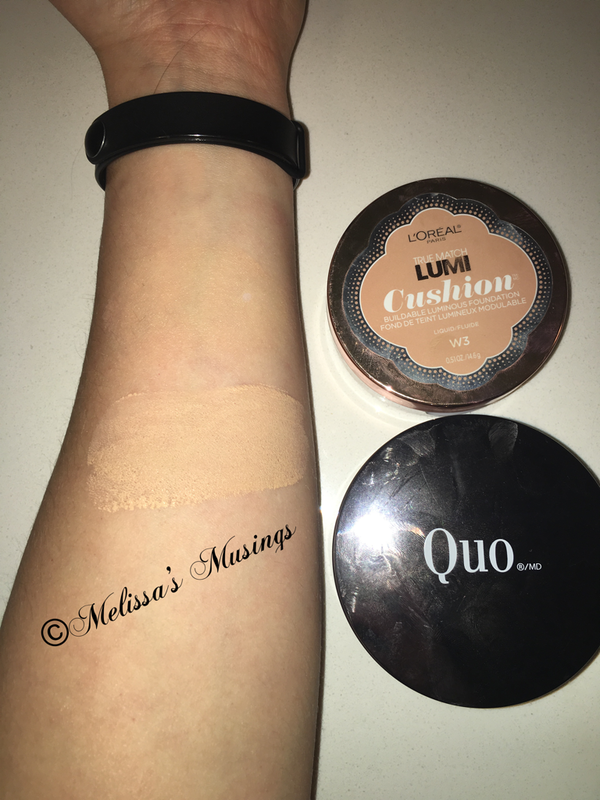 I am loving cushion foundations – I started with L’Oréal True Match Lumi and am now recently trying Quo’s Forever Flawless out. 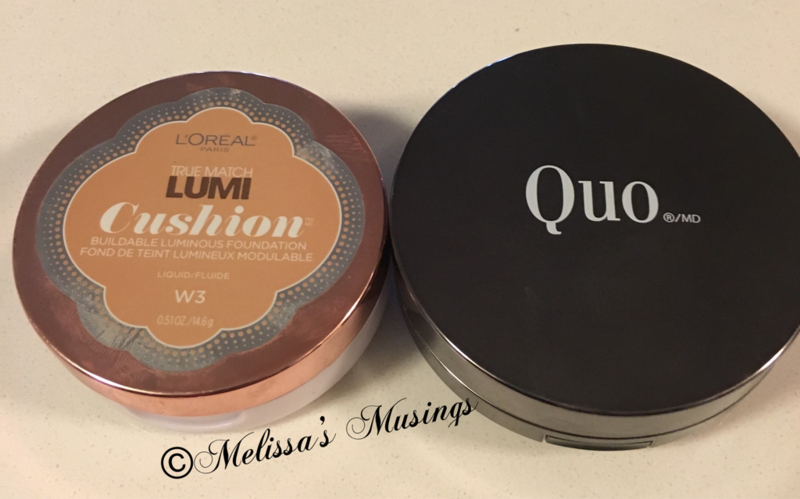 Quo and L’Oréal products are both great but there are some differences between them so they are certainly not the same. An innovative microaerated cushion drenched in liquid foundation. Travel friendly and perfect for touch-ups. Special applicator – tap on for buildable coverage. Air-Cushion delivers the perfect amount of product. 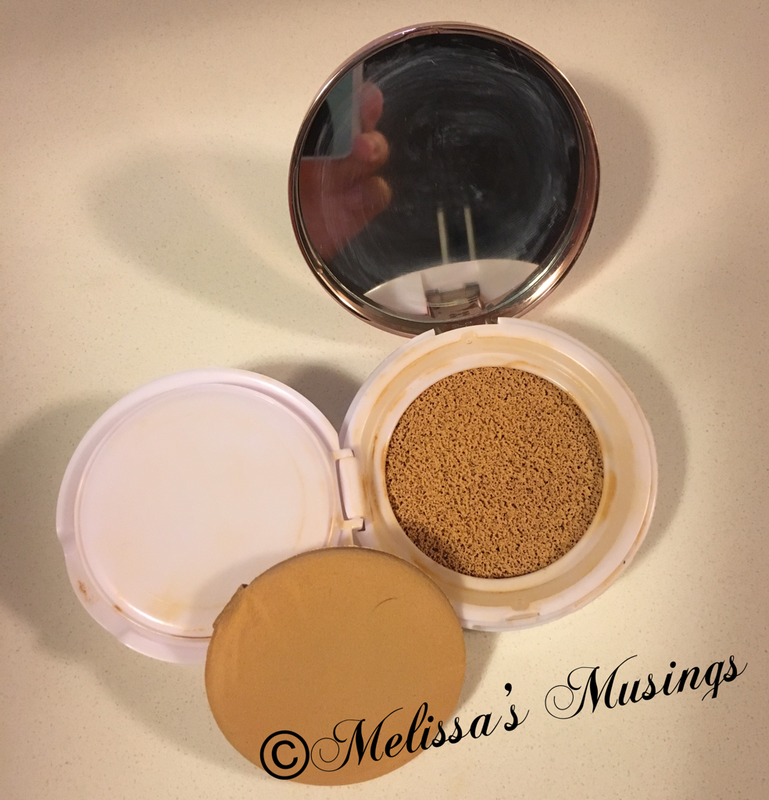 Portable liquid foundation in a cushion form compact. This unique nourishing formula blends easily for a flawless, natural-looking complexion. As I stated above these are both great products. L’Oréal has 8 shades – which is double the amount Quo has (really Quo- only 4 shades?). In terms of getting a perfect match, L’Oréal has more options. Quo’s formula is much richer and provides more coverage than L’Oréal. My skin is terrible right now so I appreciate that Quo is a heavier (but still light) foundation. Also the applicator picks up more product right off the bat. 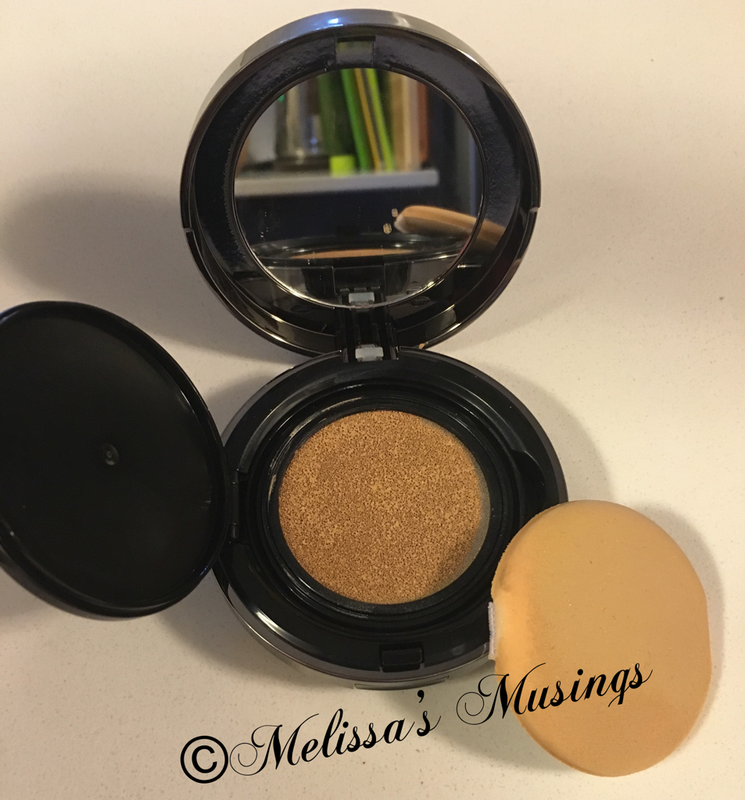 I found L’Oréal to be really light and a bit frustrating because of the thin applicator not really getting much product and I had to keep building and building. So if you don’t need much foundation L’Oréal is fine, but if you are like me right now and have terrible skin then Quo is a better choice. I also found Quo to be moisturizing which is great for my super dry skin. The packaging is similar, however L’Oréal is a bit thinner making it more portable than Quo. However neither are tiny products so they do take up space in your makeup back. I think in Shoppers L’Oréal is around $27 where Quo is $22 (and Quo has refill’s for $17) so looking at price alone Quo is a better value. I particularly love that Quo is refillable. Either way these are both really great foundations and worth picking up. I couldn’t decide so I tried both! For everyone else just think about your needs in terms of coverage and colour options and that should decide for you. Whichever you choose I think you will be happy. This entry was posted in Beauty and tagged beauty, cosmetics, coverage, cushion foundation, foundation, L'Oreal, make up, makeup, Quo, Skin by maldham. Bookmark the permalink.